Cosa mi metto??? 's car! | Cosa Mi Metto??? 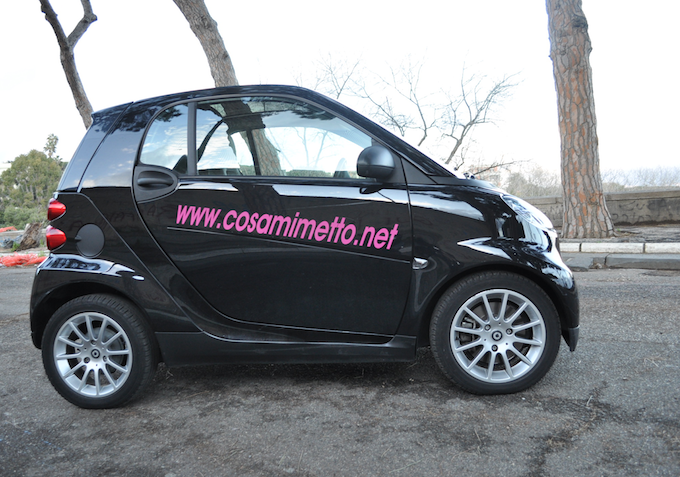 Everyday I show you my outfits, once I showed even my iphone's outfit, today I want to share with you my car's new look! Like it??? Ogni giorno vi mostro i miei outfit, ona volta vi ho mostrato perfino l'outfit del mio iphone, oggi voglio condividere con voi il nuovo look della mia macchina! vi piace??? Wow! Great car. Is this blog your daily job? I thought so because of your car, haha. Love it! Cool, love your car's new look!! I have just discovered your blog and I'm your new follower by Bloglovin! Omg I absolutely love it! You've got an awesome idea! Thank you so much. This person has been reported to facebook and her profile has been closed! That's a really cool car. Não entendi uma coisa, você não permitiu que mostrasse as fotos do seu “aniversário” no blog da jê por privacidade mas você mostra seu carro, seu Iphone e foto dos seus looks... cadê a privacidade sua que eu não estou vendo? Only now I understand that you was trying to refer to the "other" one, the fake you find on facebook!!!! Nooooo, non ci credo: è bellissimaaaaaaa!!! Oww cute car, i love the idea. Someone is using their photos in a profile on facebook Brazil. like like like so much! Ora vado a vedere il super giveaway!!! Cute car! 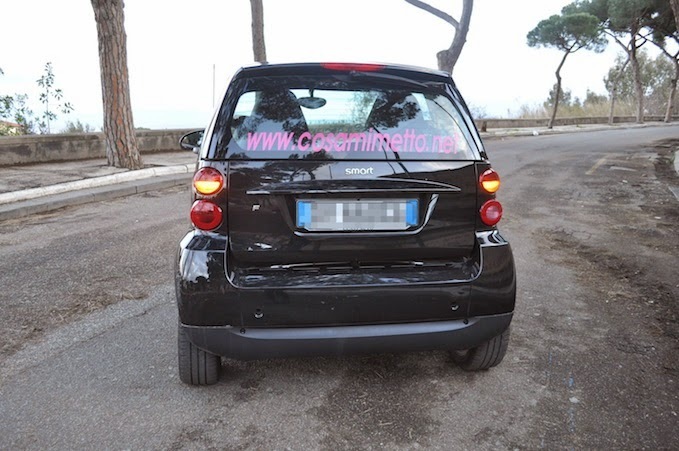 I love the little eco-cars like that! I need a car! So jel. Definitely gained a follower in me! 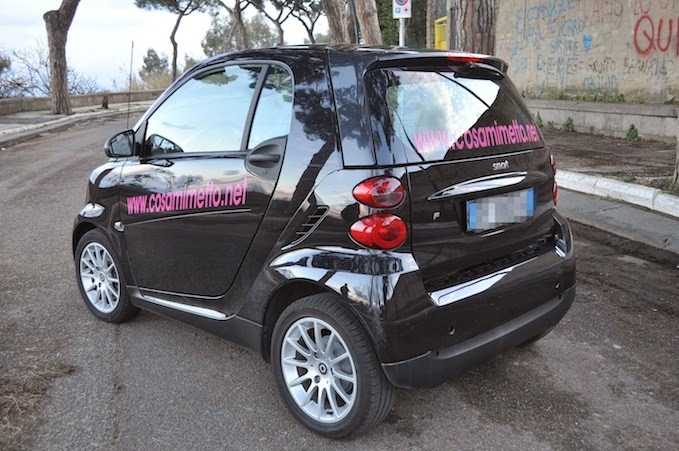 Che idea strepitosa la scritta sulla smart!!!! Ah, little car is so adorable! Wish I could drive a car like this, but not safe with all the ice/snow in Minnesota! P.S. love your car ♥ its cute ! Hahahahah, that's so funny!!! It's a good idea to promote your blog! Nice post!! ;) Kisses!! S.
grazie per il commento! sono contenta che ti piaccia il mio post! Thank you so much! Many people talk me about that!!! Thank you so much for your support girls!!!! Grazie mille per il vostro sostegno ragazze!!!! 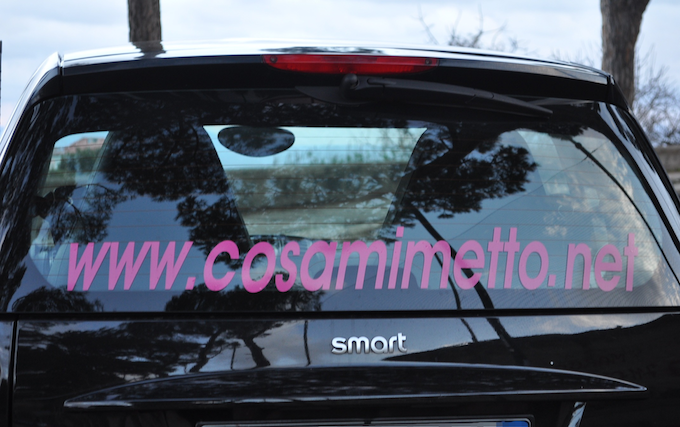 Don't get me wrong, I like the car, but do you really need to put your blog adress in it?? I think is too much!